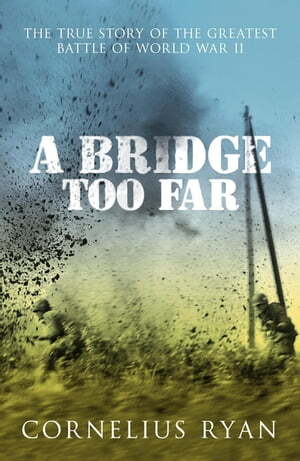 Collins Booksellers - A Bridge Too Far by Cornelius Ryan, 9781444717259. Buy this book online. The true story of the greatest battle of World War II and the basis of the 1977 film of the same name, directed by Richard Attenborough. The Battle of Arnhem, one of the most dramatic battles of World War II, was as daring as it was ill-fated. It cost the Allies nearly twice as many casualties as D-Day. This is the whole compelling story, told through the vast cast of characters involved. From Dutch civilians to British and American strategists, its scope and ambition is unparalleled, superbly recreating the terror and suspense, the heroism and tragedy of this epic operation.